Golf has been called the Game of Kings and Commoners, its history both well known and misty with time. Perhaps part of its attraction is the preparation that we make to play it - a formal gesture that includes kitting up not just with sticks and balls but with clothing that, well, let us be candid here, we can wear for no other purpose without ridicule! Take that ancient sporting pastime and mate it with stick figure sportsman and what do you get? 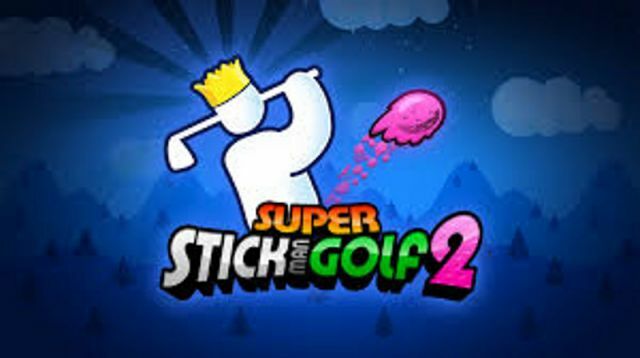 Why, you get Super Stickman Golf 2! 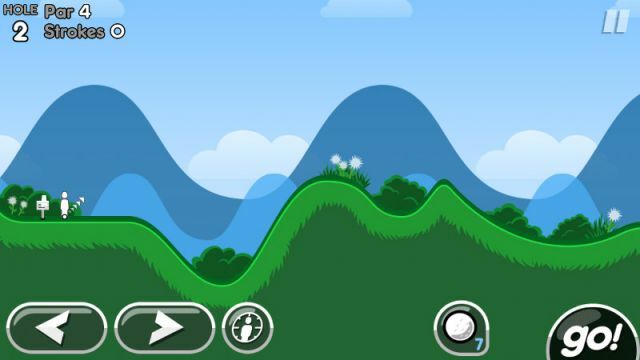 Of course it is not simply a stickman and golf, it is a stickman, golf, normal appearing courses that feature a selection of typical holes and some wildly improbable holes that, together make up a challenging game. Actually they had me at Stickman and golf... Just saying. While it was originally a .99 cent game, it is now available for FREE - free is good. In terms of longevity, the game has a lot to offer - and the bonus is that it offers it in the sort of bite-sized chunks that the really good mobile games try to stick to. 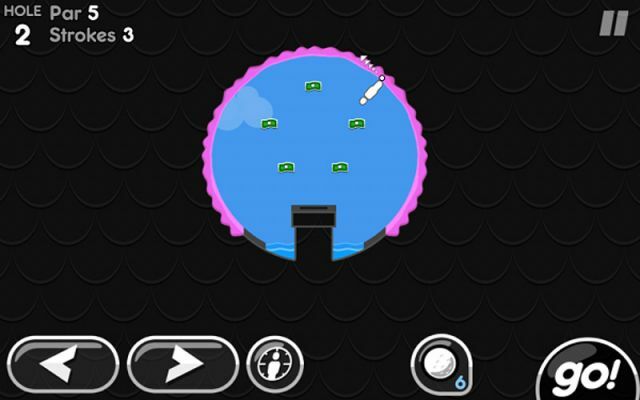 In this case, the bite-sized chunks come in the form of holes of course, with the game being divided between level-based segments, each of which has a number of 9-hole courses. 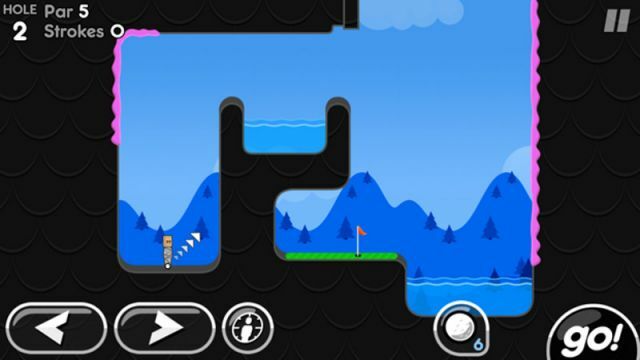 The first level includes four 9-hole courses that are unlocked by completing each previous course. Scoring under par increases the different bonuses that can be unlocked, including additional items, outfits, and golfers. How well you score under-par also dictates how much XP you get to level up. Graphics-wise the presentation is pleasant enough, but then we are talking about a stickman game - there really is not a lot in terms of density or detail that you can do with that genre. The sound effects in the game are about what you would expect, with action-sounds based on what you do in the game, and consequence sounds that reflect the results. Considering the cost (free) and the depth (there is a lot) the combination of physics and math that contributes to the puzzle-like advanced holes, what we have here is a game that will nicely retain interest. The 2014 sequel to the world hit Stickman ..
Cook delicious meals and desserts from all ..
Hunt or be hunted! Embark on the hunting ..